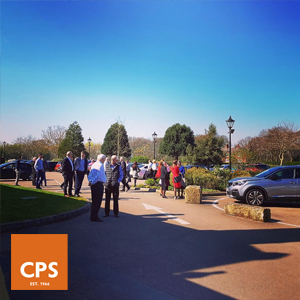 On Friday 29th March the entire team here at CPS left our offices for a morning. We took some time out of the week to go and reflect on the past financial year and look to the next: 2019/2020. The day was extremely beneficial to us all and we are all truly excited for this upcoming year! One of the exciting moments of the strategic meeting was the announcement of the CPS Employee of the Year. The award was given to our Seating Production Manager, John Ayre! He was recognised for his dedication to the role, the company and all his fantastic achievements for this financial year. Well done John. Our strategic meeting focused on many important aspects of business, including marketing plans, sales targets, budgets, NPD strategy and operations goals. We were also joined by two team members from Natwest who came along to listen to what CPS has planned for the upcoming year. We would like to take this opportunity to thank all of our existing customers for their business. We are looking forward to another fantastic year of working with you. For more information please contact us on 01302 741888 or email sales@cpsmanufacturingco.com.